David Clarkson, Afterimage Painting (Project Sign), 1997, lightbulbs and enamel paint on wood, 60 × 48 × 22 inches. Image courtesy the artist. David Clarkson is an abstract painter but not a purist. He is part of a new breed of painters who no longer hold painting in esteem. For them, painting is not the path to some truth or ideal, it is just another object. This attitude allows Clarkson to occasionally forego the act of painting altogether and venture into other areas. The irony is, that his objects (miniature landscapes studded with monochrome billboards) and installations (painted plywood boxes accompanied by sound effect recordings and flashing lights) recontextualize the particular phenomena of painting, and literalize how abstract painting functions as an object in the world. These practices do not imply that Clarkson has lost faith in abstract painting, but rather reflect his understanding of the limits of abstract painting’s materials, formats and vocabulary. In those works that take the form of paintings, he achieves a synthesis of “thing” and its “function” by resorting to “special effect.” In such works, the retinal afterimage excited by colored lightbulbs incorporated into the glossy surface is reproduced by Clarkson as painted dot patterns in high-key colors. In still other works, Clarkson literalizes such effects as refracted light and cast shadows by finding their representational forms. Despite the popishness of his work, and its hybrid forms, Clarkson could be considered Post-Formalist given that his subjects engage issues of representaton and referentiality. David Clarkson, Black Highlight Painting #4, 1991, lacquer on plaster, 24 × 18 × 22 inches. All images courtesy of the artist. It’s a relatively limited type of adjective that clings to recent abstract painting: intricate, quiet, lyrical, seductive, mysterious, atmospheric. Artists James Hyde and Archie Rand discuss the joys of cooking, Kline’s epitaph for Pollock, Warhol’s unconscious and the art of redemption in their favorite hideout—a hometown bar in Brooklyn. We listened in. 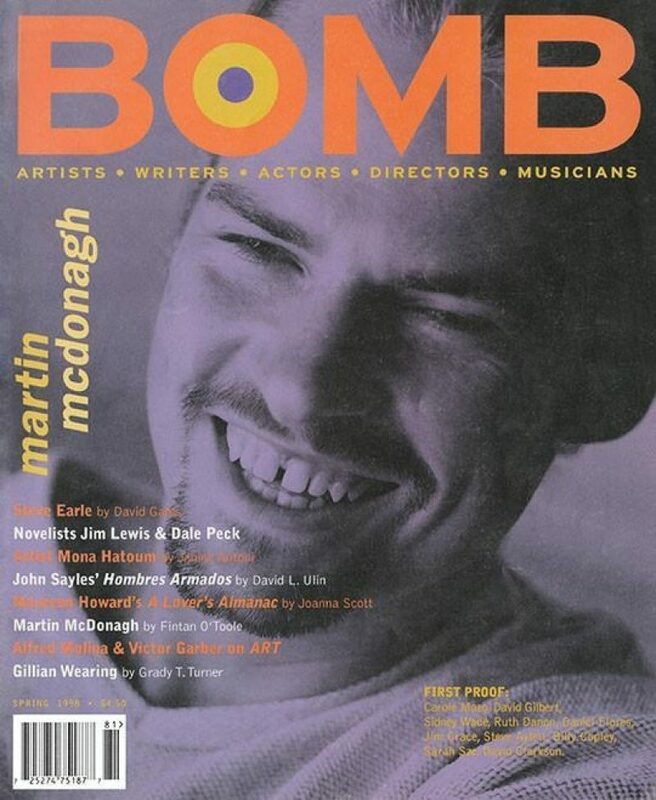 Featuring interviews with Gillian Wearing, Mona Hatoum, Jim Lewis, Dale Peck, Maureen Howard, John Sayles, Steve Earle, Martin McDonagh, Victor Garber, and Alfred Molina.